The UK is having its CCTV cameras switched off by councils who can’t afford to keep them running, the government’s surveillance camera watchdog said, warning of a deterioration in crime-fighting standards amid the government’s biting austerity cuts. For Tony Porter, the Surveillance Camera Commissioner, this is an alarming development. 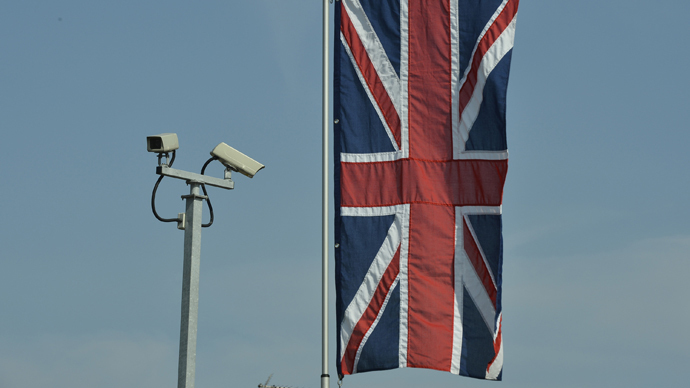 Britain is one of the most heavily-dependent countries in the world on CCTVs’ ability to help police tackle street crime, with its 4-6 million cameras, according to The British Security Industry Association (BSIA). Porter told The Independent that not only are select councils in England and Wales playing a “postcode lottery” in tackling serious crime, they are also threatening greater danger by cutting on training and hiring inexperienced camera operators, which often means inadequate training on legal issues as well. A former counter-terrorism officer, Porter blames the Tory government’s austerity cuts. He has already written to council chief executives about the problem. At this week’s CCTV User Group conference, he listed several examples in “large towns like Blackpool and Derby,” where monitoring was cut around the clock by local councils, all without consulting the public. The solution, for Porter, is for public service providers to face more accountability for their actions. Setting up a system with regular inspections could go a long way to achieving that. Councils’ current legal role only means they have to “encourage, review and advise,” something Porter argues needs to be increased. Despite the alarming claims, an unnamed government spokesman said that the “majority” of councils have been doing OK on budgets, while managing to maintain and even increase public satisfaction. He also referenced the latest Independent Crime Survey for England and Wales, which showed that the UK is the safest it has been in 24 years. But even so, according to director of civil rights group Big Brother Watch, Emma Carr, the crime rate there isn’t much lower than in countries with a small fraction of the UK’s CCTV cameras. Currently, about 84 percent of Britons support CCTV camera use in public spaces, according to official statistics. Turning off one-third of its cameras could save a council up to a quarter-million pounds. And they need to find a way to cut some 2.6 million pounds in this financial year, under the cuts. The British public has been coming out to protest the austerity measures, with some 2,000 gathering in Manchester on Saturday. Carrying banners and shouting slogans, the crowd included union members from across the country and local members of The People’s Assembly Against Austerity. Chancellor George Osborne has warned the cuts will continue under the Conservatives, who just won the general election. PM David Cameron will present the Tories’ new legislative plan in the Queen’s Speech on May 27.